DENVER--(BUSINESS WIRE)--Twenty-five years ago, in one of the greatest road movies of all time, Geena Davis and Susan Sarandon rode to everlasting fame as two women who embark on a crime spree across the American southwest in “Thelma & Louise” – and on August 21 and 24, 2016, they’re journeying back to more than 500 movie theaters across the country. 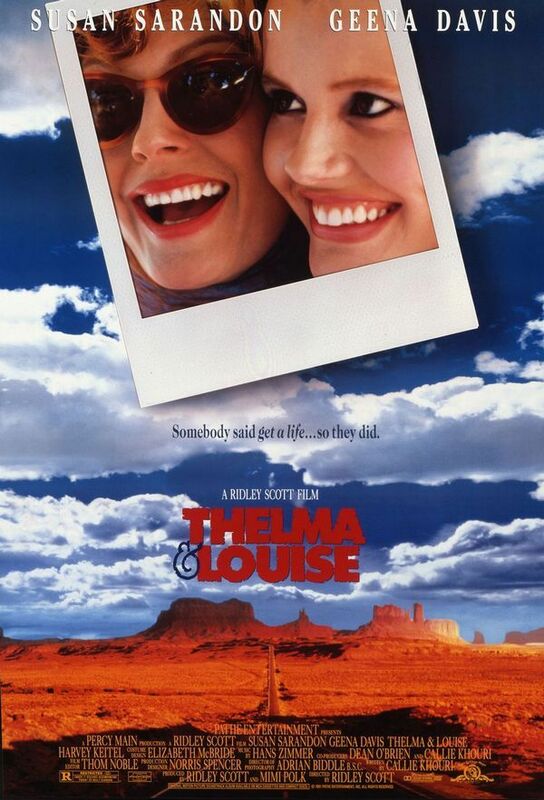 For two days only at 2:00 p.m. and 7:00 p.m. local time, audiences can take the wild ride with Thelma (Geena Davis) and Louise (Susan Sarandon) all over again in a special “Thelma & Louise 25th Anniversary” celebration, presented by Fathom Events, Metro-Goldwyn-Mayer (MGM) and Park Circus. This special two-day-only event also includes an exclusive all-new introduction from movie critic Ben Lyons. Directed by action master Ridley Scott (The Martian, Black Hawk Down, Gladiator) from an Oscar-winning screenplay by Callie Khouri, “Thelma & Louise” is an exhilarating, full-throttle adventure hailed as one of the best road movies of all time! Susan Sarandon and Geena Davis star as accidental outlaws on a desperate flight across the Southwest after a tragic incident at a roadside bar. With a determined detective (Harvey Keitel) on their trail, a sweet-talking hitchhiker (Brad Pitt) in their path and a string of crimes in their wake, their journey alternates between hilarious, high-speed thrill ride and empowering personal odyssey...even as the law closes in. “There’s never been an on-screen pair quite like Thelma and Louise, and there’s never been a movie as fearless, exciting and provocative. ‘Thelma & Louise’ is as stunning, powerful and downright entertaining as it was when it was released 25 years ago,” Fathom Events Vice President of Studio Relations Tom Lucas said. Originally released on May 24, 1991, “Thelma & Louise” received six Academy Award nominations, including Best Director (Ridley Scott); Best Actress in a Leading Role for both Susan Sarandon and Geena Davis; Best Cinematography (Adrian Biddle); and Best Editing (Thom Noble), with Callie Khouri winning an Oscar for her memorable screenplay. Movie fans also have the chance to win the Ultimate Road Trip adventure by posting a selfie with “Thelma & Louise” using the hashtag #ThelmaAndLouise25. Visit the “selfie-standee” in select movie theaters, and read the full contest details at FathomEvents.com/event/thelma-and-louise/more-info/sweepstakes. With offices in UK, USA and France, Park Circus is an impassioned and dynamic international film sales and distribution company with years of experience helping audiences around the world experience classic films back on the big screen. Park Circus represents a number of high profile studios and independent producers, including Metro-Goldwyn-Mayer Studios, Paramount Pictures, Sony Pictures Releasing International, Warner Bros. Pictures, Universal Pictures, ITV Studios, Miramax, Samuel Goldwyn Films, The Cohen Film Collection, Exclusive Media, STUDIOCANAL, Revolution Studios, Renown Pictures, Woodfall Films, Icon Film Distribution, Channel Four Television Corporation, and Walt Disney Studios Motions Pictures. Park Circus was the pioneer in making classic films available for Digital Cinema with 1,400 classic films now available for theatrical distribution in this format. Park Circus Limited is part of the Arts Alliance Limited group of companies.